Our corporate discount scheme currently provides a 35% discount (and will always be at least 25%). This applies to all orders placed directly with OPEX Resources; even for just one copy! To qualify, an organisation must have ordered a (combined) total of 100 copies of our Lean Six Sigma and Minitab book directly from us (if the first order is for 100 copies or more, then our online shop will apply the corporate discount automatically). 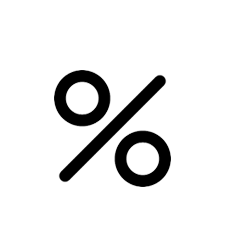 After qualification, tutors, employees and delegates can apply the discount to orders placed with us by selecting the organisation name from the dropdown list in our shopping cart. Are you on the list already? Use the dropdown list below to check if your company is already registered on our corporate discount scheme. If so, you can add the discount to your cart, and it will apply to any orders that you place on this visit to our website.